Belize Boutique Resort and Spa is an artisinal luxury boutique resort with welcoming, friendly and hospitable owners & staff who provide top-notch service. 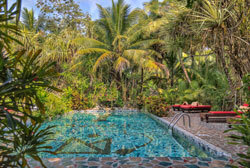 If you are looking for somewhere unique, artisinal and away from crowded tourist destinations, then Belize Boutique Resort and Spa is the place for you. But don't just take our word for it. Listen to what th Resort's guests are saying about their Personal Belize Boutique Resort And Spa Experiences. Share Your Belize Boutique Resort Experience: If you stayed with us but don't see your review posted below, please take a few minutes to do so now. Wedding Anniversary Trip Exceeded our Expectations! Lovely Family Vacation. We will be back! Amazing First Time Experience - We'll Be Back! Thank You for Always treating Us Like Extended Family!